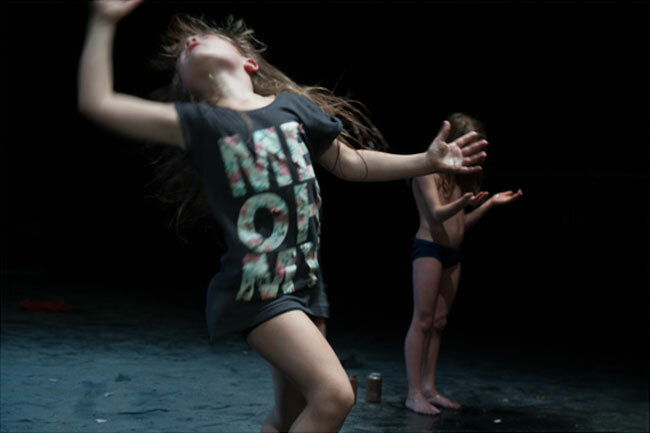 A gang of children balancing on a thin line of joy and struggle in a performance that demonstrates their resilience, hope and idealism. An exercise in standing straight, in resistance to a constant, invisible threat. They develop their own medicine against the chaos of a world that is too big to comprehend, to understand; to control. RAW is a show about playing, dreaming, pretending, being a child even if it is not possible. It is about growing up in difficult circumstances, seen from a child’s perspective. It is also about the adults that have to take care of them, who are impenetrable, sometimes from close up, but most often from afar. With live music from Thomas Devos, who like a bard on the battlefield celebrates the courage of the little warriors. 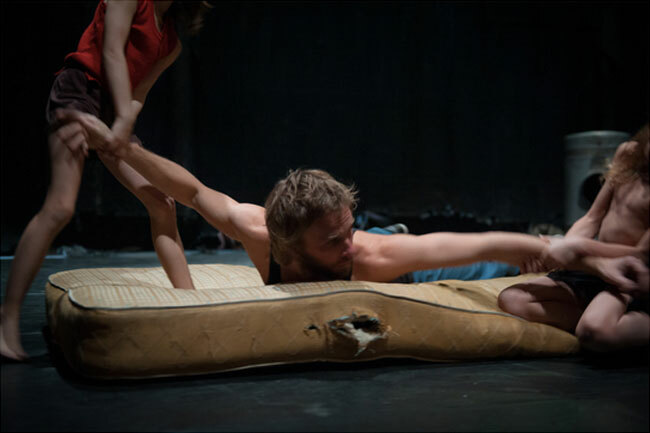 kabinet k is a contemporary dance company based in Gent. They focus on working with the specific physical qualities of dancers of different generations. 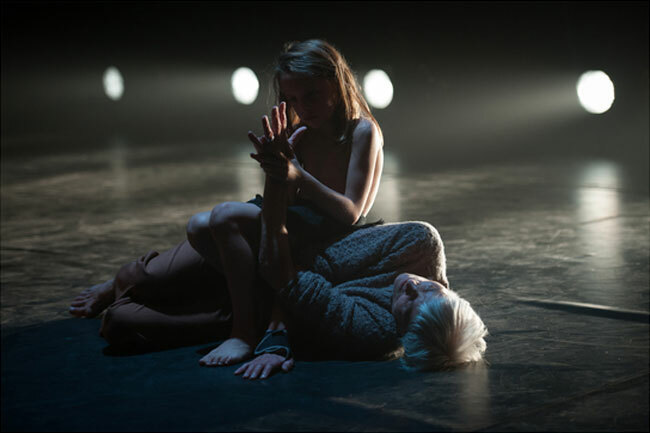 JOKE LAUREYNS & KWINT MANSHOVEN are both choreographers and have been leading ateliers with young people e.g. at Kopergietery. 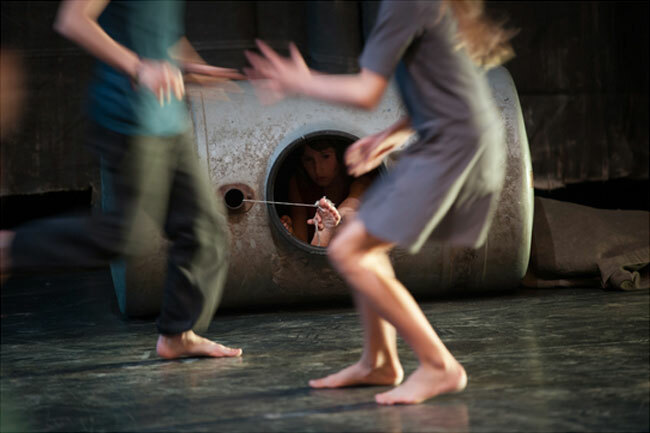 With their own company, KABINET K puts the focus on children and dance: they create performances for a young audience which always feature children as well as professional dancers. KABINET K treats dance for a young audience in an adult manner and lets the child be „child“. They are convinced that dance is an art form that reaches and communicates with children and youngsters – of different cultural and social backgrounds – on an intuitive way. As a starting point for their work always function concrete, everyday life actions, mixed with playful elements. Their performances are emotional, sensitive and full of athmosphere. The use of live music, composed for their pieces, is another constant element of their work. 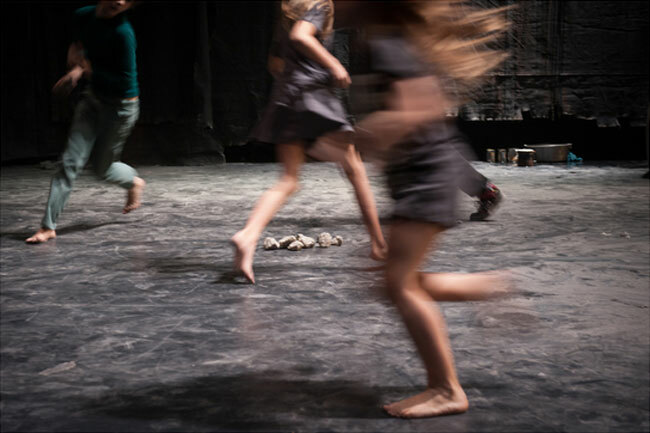 So far they have created among others the following pieces: Dromen hebben veters (fabuleus), Randschade (fabuleus), Shelter (production Kopergietery), Questo Ricordo (coproduction Cultuurcentrum Hasselt and Dans in Limburg), Martha Marthe Mathilde Matthieu (production of Kopergietery, together with Janni Van Goor and Ives Thuwis), Einzelgänger(-), production of kabinet k. and Unfold, production of kabinet k & Kopergietery.